Floating Tealights. Decorate your table or backyard fountain with tealight candles floating on the water. Fancy and lightweight candle holders can add color to your floating garden. Take an old glass jar or a wine bottle. Take a piece of craft paper equal to the circumference of the base of the container and cut it in the shape of a fairy with some grass around it. If you’re using a jar, you can easily roll up the paper cutout and suspend it at the bottom. But if you’re using a wine bottle, you could use some glue and stick the cutout on the outside of the bottle. Suspend the fairy lights inside the container and place it under a bush. Leave your guests awed at the magic happening in your backyard. Solar Lights. Try looking for something that conserves energy and makes the best use of available light already. Solar lights are easy to install yet to wrap them as or around complicated things and shapes, you’ll need more than just lights. Get solar-powered LED strings, an old teapot, some craft wire, a large washer, a hot glue gun, and a wire cutter. Start with unwrapping the LED strings into 30-40 inches long sections. Fold them in half, intertwining them into a single string section. Halloween. Serve a spoonful of spooking with a Halloween themed tea party. Jack-O-Lantern skins for your teapots sounds like a cool idea, doesn’t it? The usual Halloween decorations would do fine for your tea party, but you’re always free to dabble in stranger imaginings. Hanging Flowers. Take a small, lean branch from a tree and tie a secure thread on two corners to create a sort of beam for the flowers to hang from. Hammer in a nail in the wall to hang this branch beam from. Before you hang the beam from the nail, get a bunch of strings, earthy colored preferably, and cut them in varying lengths, ranging from a feet to two. Tie the strings on the branch, spacing them out at a distance of three inches. To these strings attach the flowers to their stem and hang this little masterpiece on the wall. Ingredient Handbook. This one’s not common, but is something your guests will definitely appreciate. You’re not only serving them with great tea, dessert and course meal, but you’re also giving them a chance to replicate it in small, crafty handbooks telling them the secrets of your success! Minimalist. Plain does not always mean dull. There is beauty in simplicity; otherwise, minimalism would not be the go-to design palette for decorators today. When choosing a set for your tea party, going with minimally carved yet exotically colorful tea cups and pots are refreshing. Chinese/Japanese/Indian Tea Party. Why not surprise your guests with something so extraordinarily unique that it leaves them with fondest memories of the experience. Given, this will require a lot of decorative endeavors for one party, but in the end, it is worth the effort. Tea is an everyday commodity for people in India, China, and Japan. Menu cards. Give your guests a taste of the fine dining experience in your backyard with beautifully designed menu cards. Leaf/Flower Rings. Instead of creating long-winded shapes with leaves, you can take average sized plastic or fiber or wooden rings and cover them half with the flora of your choice. You can then glue the rings together and hang them on the wall using nails or for a more temporary purpose, use detachable wall hooks. Custom Tablecloths. Bored with your normal white tablecloths? No worries. Use your old colorful bed sheets for this purpose. Cut two inches wide strips from the dangling part of your table and braid them with similar underlying tablecloths. Or a simple knot with the rest of strips flowing away can look thrifty yet chic. To quote Francis Poldark, a character from the 18th Century set series of novels titled Poldark, get ready for the ultimate house party. Door Knobs. Fancy or quirky door knob cards are a small but significant addition to the overall decoration of your party. Jar of Goodies. You can spice up the glass pots with more decoration by adding colorful pebbles, beads, candies, jellies, or anything that comes to your mind. 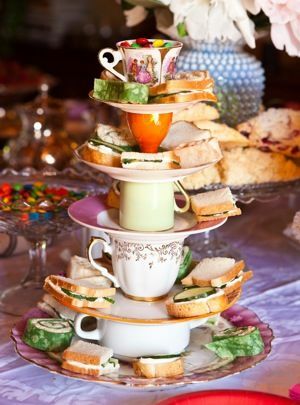 For such an occasion, or one can say sets of occasions, here are some unique and exciting ideas for your tea party decorations. Paper Flowers. Paper flowers are easy to make and can look increasingly colorful if made from a wide variety of paper designs and shades. The size of the flowers is entirely up to you. You can use scrap paper and old newspapers too for this and save up on the expense. You can hang them on the walls or by the ceiling or behind chairs. Cakes With Petals. This is a job more for your baker and caterer than for you, but if you’d like to give it a personal touch, you’re most welcome to. You can serve your guests cupcakes in literal cups, with the cakes shaped like flowers and other floral designs. It would also be a pleasant surprise when you serve them. Pallet Swings. Pallet swings are both easy to make and light on expense. Buy a few pallets from the hardware store, and some small cushions and mattresses with colorful bed-sheets and covers. 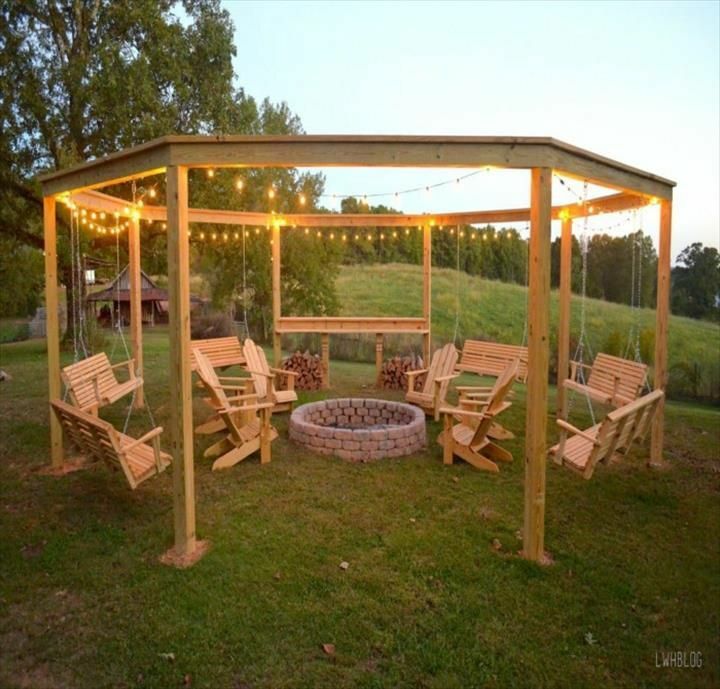 You can go through DIY tutorials online for making pallet swings, and you can make them as single seaters and as full-fledged swinging beds. 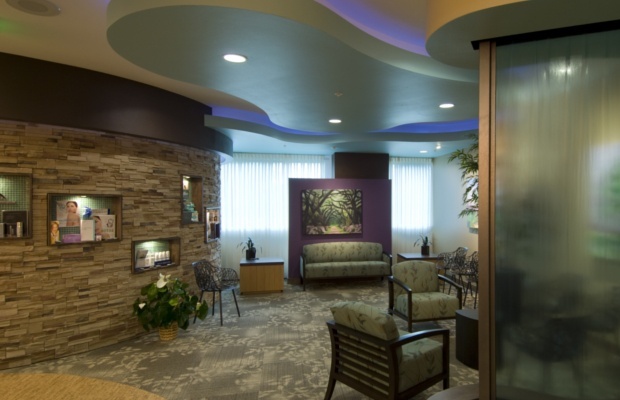 You can also customize the shape and materials for a truly outstanding result. Fairy Lights.Fairy lights have been quite popular in recent years. You can create a firefly effect in your garden by hanging large glass globes around your trees and suspending fairy lights in them. You’ll get bonus points if you have multi-colored fairy lights in a single globe. 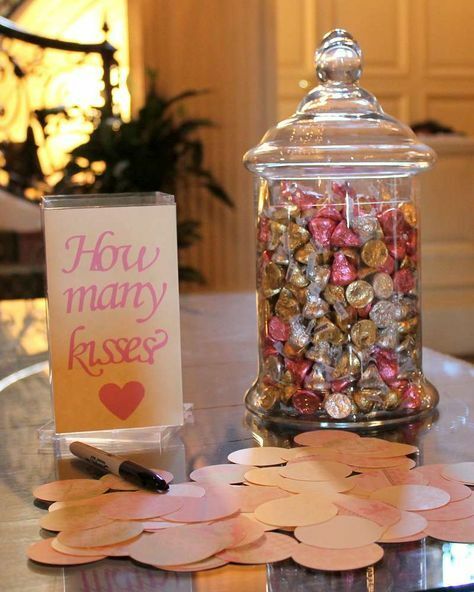 This is a simple yet fascinating tea party decoration idea that your guests will love! Paper Clocks. Tick tock, it’s time for tea. A good way to add to the tea time theme is to get paper clocks or print and cut them out on your own and stick them with each other in whichever shape or form you please to hang them by the tree or shelves or the ceiling. You can also use them in place of table-mats or print them out as stickers to paste on flat saucers. Using tea bags instead of clock hands will add to the theme of the party. You can glue them to the paper clocks using a hot glue gun or attach them with a string. A Star Wars-y Party. Moving away from the medieval and folk themes and onto a galaxy far, far, away, a star wars themed tea party sounds fantastic. 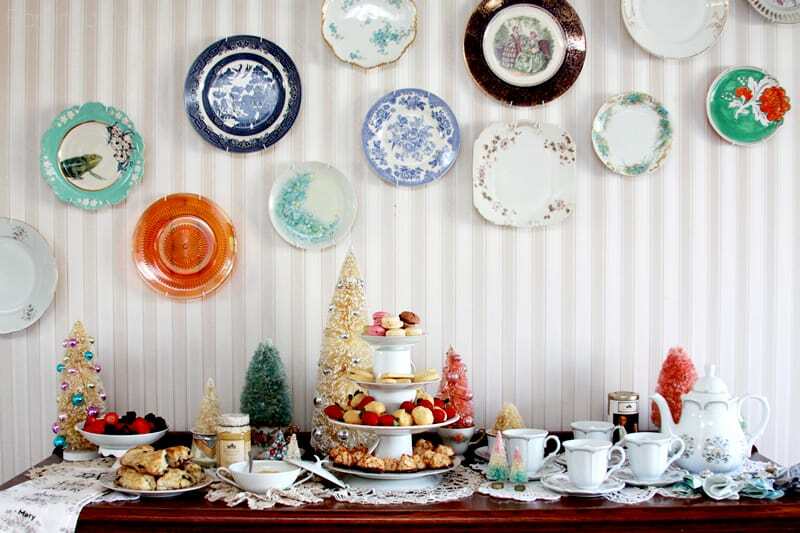 Saucers painted the Death Star, sugar mixers colored like the lightsabers, X-Wings and the Millennium Falcon printed as paper hangings are a few ways you can incorporate the far away galaxy into your tea party. Pebbles. Create a colorful garden pathway with colored pebbles à la The Yellow Brick Road or the Rainbow Bridge, and see your guests lose themselves in a world of fantasy. Turkish. Bringing an Ottoman-Arabian flavor to the party, with an exquisite seating arrangement similar to the Indian one but unique in its own way, a Turkish themed tea party allows you to add refreshments like the shisha to the mix, even if it is only for show. Some esoteric Sufi music will set the mood perfectly for your party. Napkins. Need minimalist table decorations without spending a lot? Fancy napkin folding are a great bet. Use your origami skills to make colorful napkin patterns. Make sure you start with a pressed napkin to keep the creases sharp. You could also try some of the rare shapes from DIY tutorials. Napkins with different designs can add variety to your table, along with your food. Fairies in the Bush. Add a little magic to the garden while you and your guests have a sip of the chai. The requirements to make this happen are quite simple to acquire and don’t demand much work from your end: Old glass jars/wine bottles, Fairy lights, craft paper, long-lasting battery, hot glue. Now we’re going to make a standard fairy-lights-in-a-wine-bottle decoration piece, except we’re going to add a little bit of magical fairy dust to it. Tyre Swings. Add a hint of nostalgia to your backyard with a few slabs of wood and old rubber tires. Hang them by the tree with strong nylon ropes, and you’ll have your swings ready in no time. Your guests’ and your kids will thank you. Beauty and the Beast. Another classic that has a dinner setting as a centerpiece of its second act, Beauty and the Beast, like Alice in Wonderland, plays with costumed themes of the 17th, 18th and 19th century. Lumiere, Mrs. Potts, and Cogsworth are characters that can be easily adapted as decorations for your party, while golden curtains and a snowball theme will liven up your party as they did for Belle. This theme also allows you to add French influences to the primarily British tradition. Juice Pitchers. Contrast the serving of tea and its fancy crockery with colorful pitchers filled up with equally colorful fruit extracts ready to reinvigorate your guests if they are up for something cool to drink. Depending on the theme of your party, you can paint the pitchers or attach decorative add-ons. Take a bunch of at least fifteen candles, drill holes horizontally right through the upper end of the candles and pass barely visible strings through them. Hang the candles by a mast or beam from the roof and hang them up. You can also effectively have a long table tea for the dinner post tea. Magazines. Similar to a newspaper, but fancier when considering display, customized or theme appropriate magazines are a fun way to add character to the party. Crafty Candles. The image of a long, white candle is in everybody’s mind but buying theme appropriate, differently designed, and colorful candles in bulk to litter your party with light will give people a refreshing alternative to the everyday electric lights. Newspapers. Tea and newspapers go hand in hand. What if you used vintage newspaper prints for table-mats and napkins, and perhaps fancy your guests with a handful of the real ones from your nearby vintage store! You can also get newspaper prints on a cloth to cover the tables. Teapots and Cups. 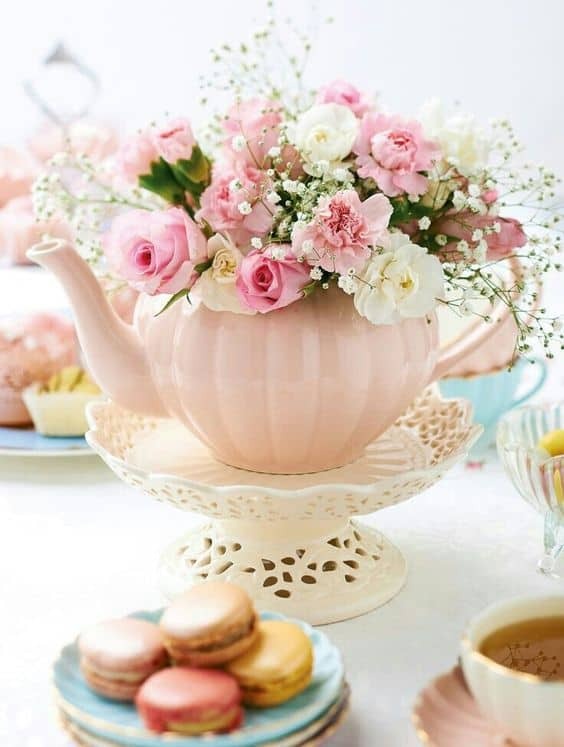 There is no better way to blend a tea party with a floral theme than to use sets of teapots and teacups as containers for a vibrant bunch of flowers. It only gets better if the pots and cups have flower embossing on them. Flowers In Your Tea. Use organic rosebuds to bring in that extra bit of freshness to your tea, serving them as condiments in the tea itself, floating in it and adding their essence to the taste. In some cultures, rose petals are consumed during ceremonies or for spiritual purposes, and rose in your tea adds a spiritual twist to your wonderful party. Be it the classic Chai, or the herbal one, decoction or iced tea, people from the East love their tea. Reinvigorate the senses of both your guests and yourself by not only decorating your party in the style of the East but also serving them the plethora of aromatic flavors available in the region. Eco-friendly Lanterns. If you’re looking for eco-friendly material to change the façade of your venue, hanging clay lanterns and lighting candles inside them can brighten up your theme. These lanterns can be long lasting without adding to your plastic waste. Bonsai. Add a bit of freshness and greenery to your table by keeping bonsai pots on it. You can decorate it by keeping wrapped chocolates, cupcakes and macaroons at the base of the pot, so you have a teeny tiny Christmas tree gracing your summer parties. Victorian. Victorian teacups are exquisite in their make and design. Creating Victorian crockery is an art on its own with careful consideration for the shape, embossing and color schemes. Ribbons. Ribbons are easy to buy, easy to use and come in large quantities for dirt cheap. They also look pretty fantastic and definitely add a lot of color to the occasion. With ribbons, you are free to experiment with shapes and lay them out along the pathway with the help of sticks buried in the mud. Tea sets are the eponymous decorative pieces of a tea party. You might add a whole lot of everything to your decoration, but in the end, your guests are going to want to be served tea, and impressing them with a tea set that leaves them wide-eyed is a good idea. Umbrella At The Table: If you wish to add shade and color to your tea party on a very sunny day, just hang up opened umbrellas overhead. This will keep the breeze flowing adding to the summer feel of the party. And if the theme you’re going with is Victorian or something old school, you can place a basket at the door filled with vintage seeming umbrellas or hang them on the coat hanger. One doesn’t need a specific reason to throw a tea party. 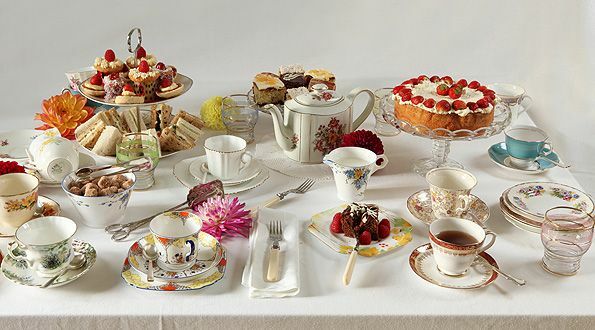 A tea party just happens to be, pouring into occasions effortlessly and to everybody’s taste. 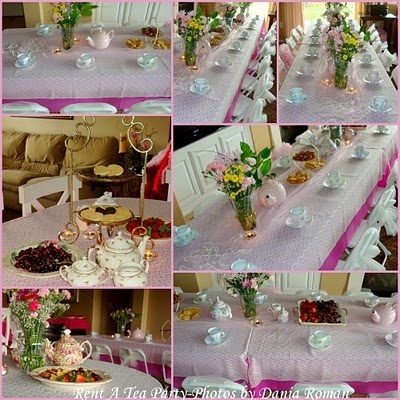 There are many ways to throw a tea party and as many for decorating it. You, of course, are the warmest of hosts with that right amount of sweetness to delight your guests the way they would not expect. Card Tricks. Playing cards adds an active flavor to any party. Not only are they engaging, but they are also customizable for making card sculptures. Moreover, they can be used as name cards too. Glow In The Dark. What if you light up your tea party indoors in absolute darkness but the subject of the party the only thing glowing? Glow in the dark cutlery, available through companies like Glow Company can provide you with cups, pots, plates, knives and forks, all unremarkable in broad daylight but attention stealing in darkness. Conversely, add shimmer to your plain white party balloons by dipping them halfway in dilute glue and coating it with golden or silver glitter. If you’re going the fun way, use colored balloons with suitable colored glitter and hang them around like shiny disco balls. Bling Curtains. Tie up long golden bling curtains by your verandah or gazebo for an afternoon tea party. The golden hue will complement the sunlight. Similar silver bling curtains can reflect the moonlight for your evening gatherings. Glass Pots. This one is standard and doesn’t require any effort at all. You can convert your glass jars and bowls into temporary homes for flowers. Fill them up with fresh water, attach ribbons to them and add fresh flowers. 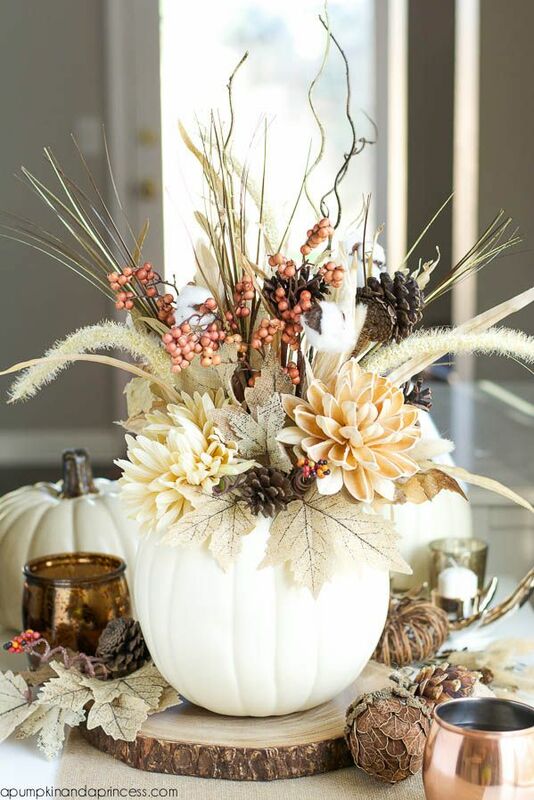 Use them to decorate the table or accompanying furniture. Plus, you don’t have to go with just roses. The choice is up to you, and the flower shop will be of enough help during your selection. Alice In Wonderland. 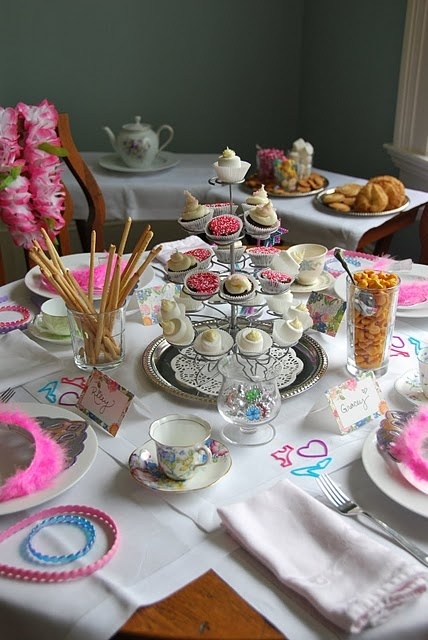 Definitely the most popular tea party theme in the world, Alice in Wonderland is tailor-made for the occasion. There are fewer scenes in literature and classic stories more iconic than the Mad Hatter’s Tea Party. A significant introduction for the eponymous Alice to the wonderful wonder of Wonderland, the tea party, is peppered with the various inhabitants being hosted by the fantastic Mad Hatter. Wrappings. You can also use floral designs for your cupcake wrappings, for tissues to wrap the spoons in and to embellish other assortments that are on the menu. Floral. Be it patterns of flowers or elaborate floral shapes, teacups, saucers, and pots featuring flowers are always in-demand. There is this unspoken camaraderie between flowers and tea that nobody really knows the reason for, but everyone accepts as perfect. The market is rife with such intricately crafted flower tea sets. Harry Potter. Moving on from the Victorian age but still retaining some of the old world essences, a Harry Potter themed tea party also works for Halloween. Printing the Marauder’s map on tissues, embossing the school houses insignia on the napkins, hanging paintings from the films on the walls and yes the floating candles will make your tea party a magical affair. For the candles, you needn’t do much. Due to the overbearing presence of the Elves in the lore, you have countless options for an Elven themed tea party. No one gets more high society than the high minded and dainty elves of Middle-Earth. They are royalty with a spoonful of ethereal wonder, and their abodes reflect the same. Floral and silken decorations come to mind when you think of them first. Using white lights for lanterns recreates the bluish aura of the Elven homes. Umbrella Ceiling. 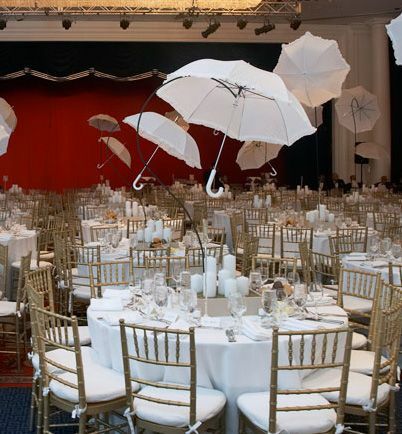 Up-scaling from the table top umbrella, an umbrella ceiling made by attaching twenty or more umbrellas together and tying them end to end by trees or beams will give the guests and people passing by a long moment of wonder. Leave Shapes. 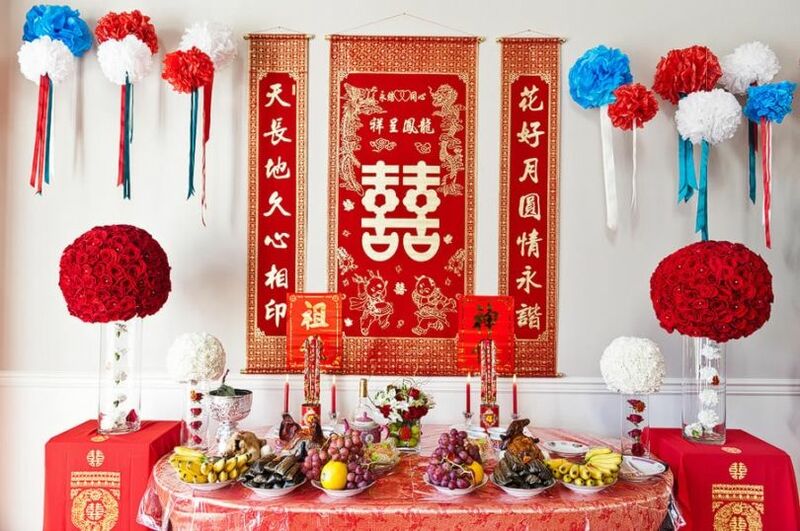 Using long, unbroken stems of chinaberry leaves or leaves of similar shape and size, you can decorate the walls or tables with whatever shape you want to give to the stems. Use cellophane tape to bind the leaves together in shape, and use thin strings for extra reinforcement. You can add flowers to the leaves for that little more sass. 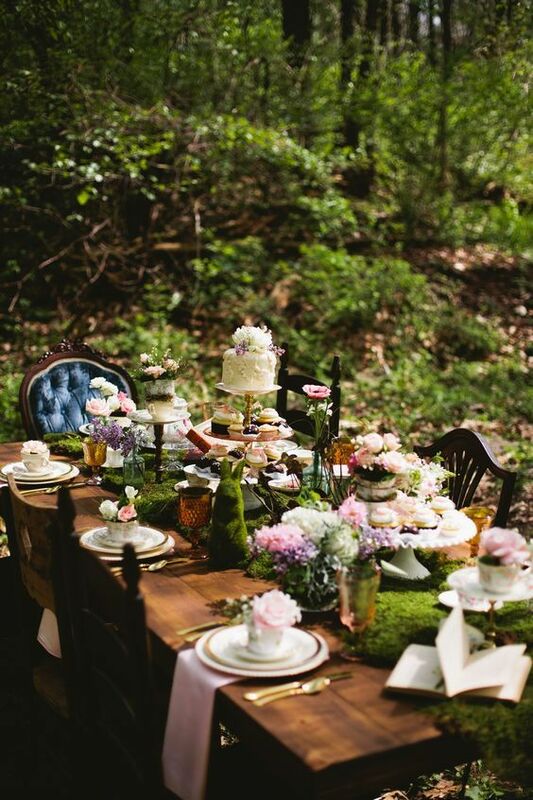 So, are you ready to throw the ultimate tea party? What ideas impressed you the most? 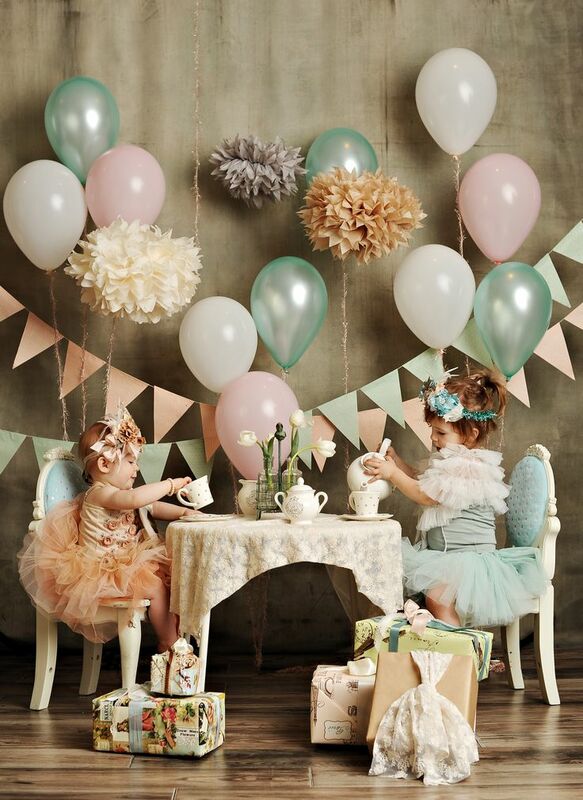 Are your brain cells popping up with crafty new ways of making tea party decorations? 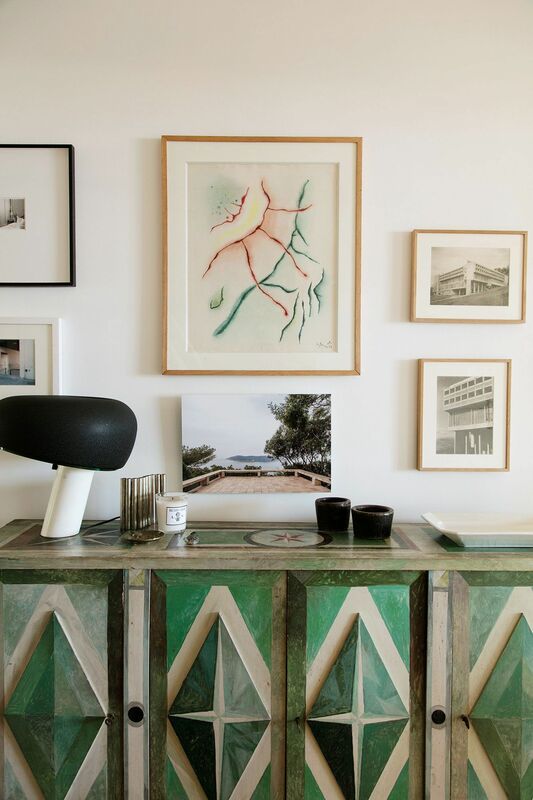 Or perhaps you would like to mix and match a number of ideas for a truly unique decor. 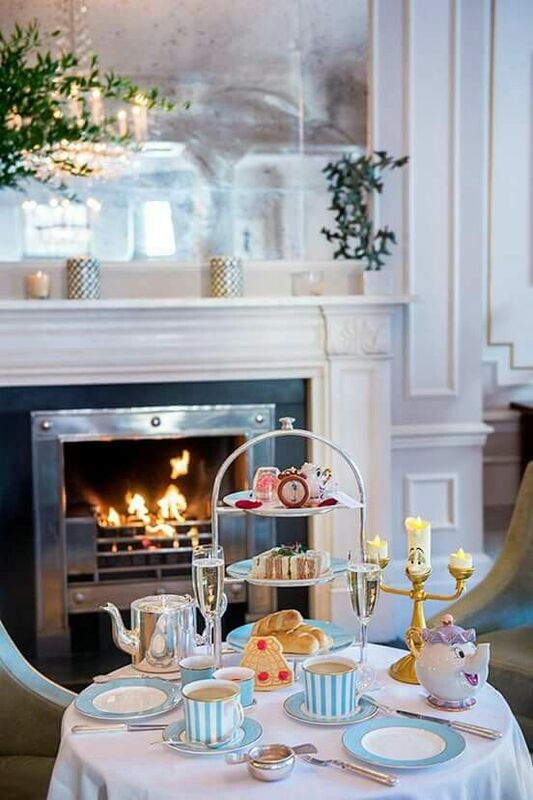 Of course, there is no limit to what you can do once you’re up to the task of wowing your guests with fantastic tea and remarkable decoration. Pointers. Directional arrowheads and signboards are of course merely decorative in this scenario, but they also add a little adventurous feel to this leisurely venture of tea drinking. Victorian. Hah. This is the ultimate tea party theme. 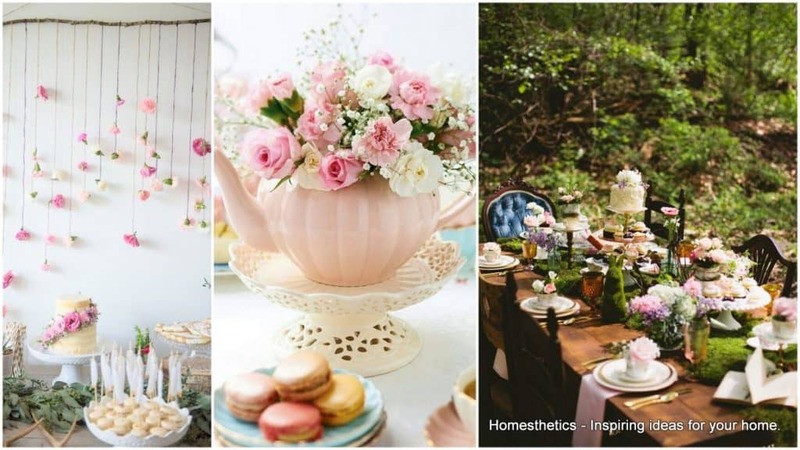 Replicating the time where tea parties were the equivalent of modern-day raves, this theme can be a bit heavy on the budget side if you are going for a fully Victorian setting, but manageable and fantastic to look at otherwise too. From trays to the crockery, tables, and stools, there is much that you can do. Antique Holders. Use antique metal candle holders for your evening parties. Aromatic candles can elevate the mood of the party. Mild scents like Holly Wreath, Rosemary, Jasmine, Green Apple can be good yet less nauseating for the food table, whereas Vanilla, Ginger, and well, Tea scented candles can make your entire garden fragrant. Downton Abbey. The television series is the very epitome of British high society manners and customs. Fewer stories can so easily blend humanity and royalty as Downton Abbey has. Bordering on the Victorian side, but with a knack for the flashy Twenties, a tea party themed after Downton Abbey is one for the history books. Name cards. Adding name cards is proper etiquette and shows that you care about that extra bit of work to make your party look all the more proper. You can place the cards on the table beside the plates, or you can keep them in the saucers by the cups, lay them down in the plates or fix them in the forks. You can also use them as flags masted upon the cupcakes. As for the size and color, there are innumerable options for you to choose from. The Hobbit/Lord of the Rings. This definitely gives you the perfect way to ask your guests if they’ll fancy a second serving. This 20th century literary classic and beloved pop culture film series. You can lift several visual cues and witty quips from the films for this theme. 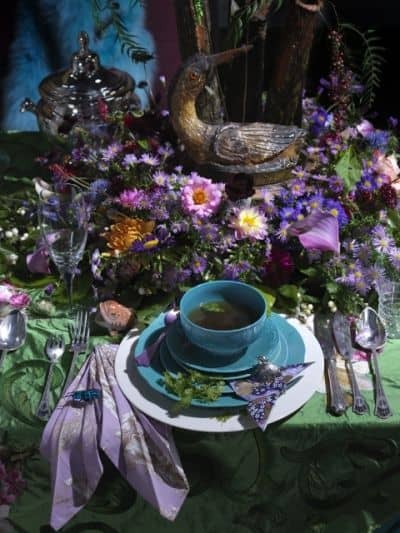 Small hobbit holes, barrels of tea with a deep necked spoon to pour it, or incorporating the Victorian elements are some ways you can go about for your theme. Gnomes. The old and weary yet happy-looking gnomes never grow old. Their decorative spirit is always high, though they are quite short themselves. You can litter your garden or your hallway entrance with colorful little gnomes. Thematic. This category has the potential for unlimited customization. Themed parties are always fun, be it Halloween or Christmas, movie or comic, literary or periodic. Lettering. Lettering your name cards can be a fun exercise. Thanks to the internet, you have the ability to choose from thousands of fonts, many of them free to use. According to the theme of your tea party, the guests that are due and the occasion, you can pick and choose the type of font that will suit best. Hanging Hats. This would require a trip to the thrift store or a wholesale dealer. Buy some top hats or bowler hats and drill holes through their top center. Pass the wire through them and attach a socket and bulb in the cavity of the hats. 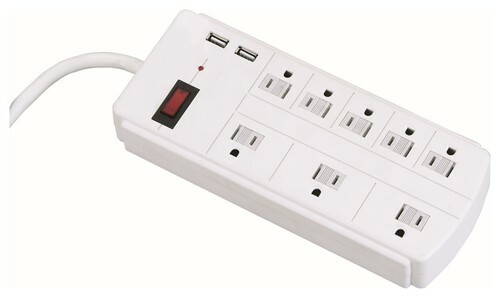 Install them from the ceiling or a tree branch, with an electric source on the other end and voila! Continue with the process till you have several strands of string lights connected at one end. Take a craft wire of around 20-25 inches and loop it through the common end of the light strands. Make sure it’s tight enough so that you don’t have rogue strand dangling around. Take the other end of the craft wire through the spout of the teapot and into the interior of it. Wind it through a washer and glue it inside the teapot. In the end, stick the lid of the teapot shut. Et voila, you have your very own Spilling Teapot Lights to hang around your garden. Crockery. It goes without saying that for a floral themed tea party, laying the platter with floral crockery is the cherry on the cake. Your selection has a broad range, with floral crockery ranging in styles from Victorian to modern, minimalist to extravagant, simple to elaborately floral shaped designs. And this does not restrict itself to just the plates and cups. Even the spoons, sugar mixers, and pots have a colorful variety. 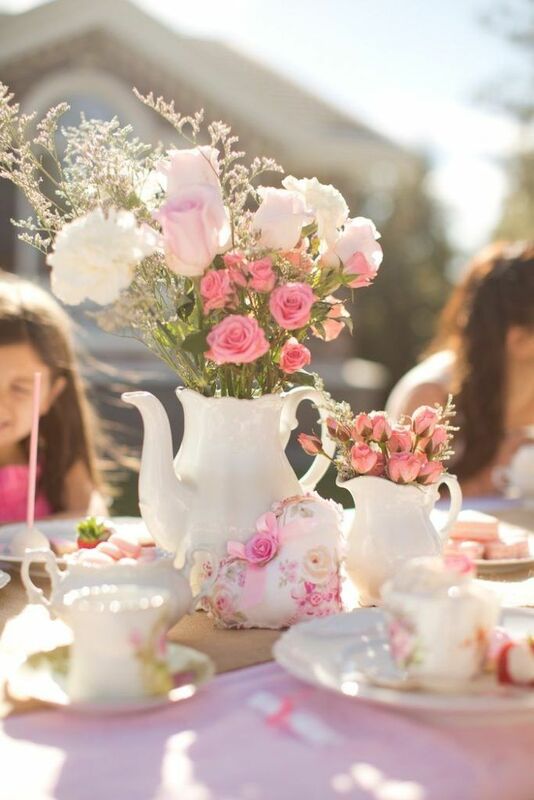 There are several floral designs you can go with to doll up your tea party and make it smell as good as your tea. Well, to figures of those times house parties involved balls, liquor, and tea. And that’s what you’re prepping for. Pot and Cup Sculptures. 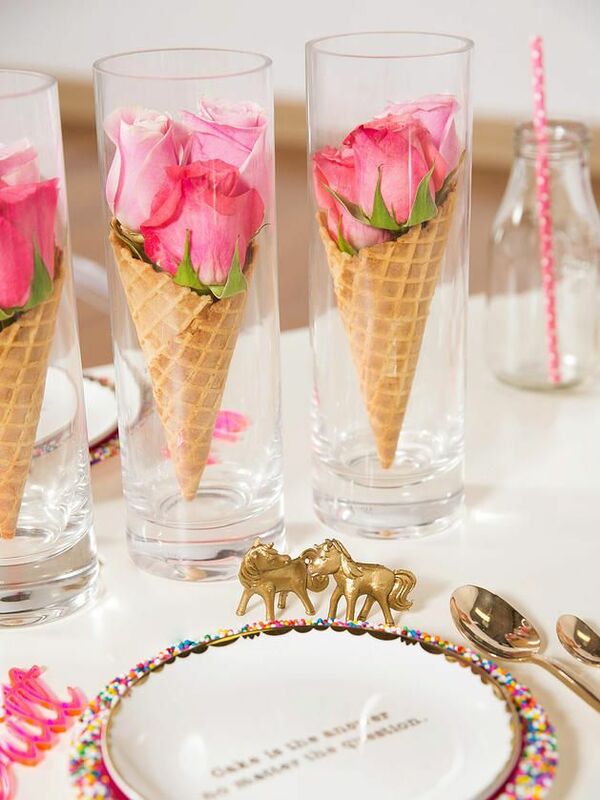 Less of a DIY and more of a purchase, depending on the level of complexity, pot and cup sculptures are amazing decorative pieces, not only for your party but for permanent use. With a hot glue gun, you can glue cups one above another, or make sculptures like the pot pouring into the teacup, and hang them in your garden or your hall to wow them all. Origami. 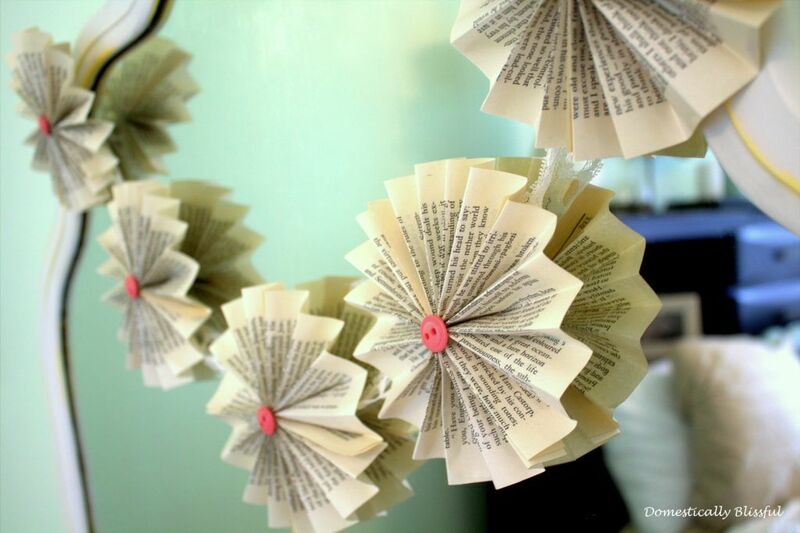 Paper origami is a wonderful option for decoration. If you’re not able to make origami of a wide variety, you can always call upon an origami craft maker for help. Based on the theme and occasion, you can order for the type of origami that will go with the party. From ‘We are all mad here’ quote featuring on just about anything in your theme to arrows directing everywhere, an Alice in Wonderland theme party is rife for experimentation. 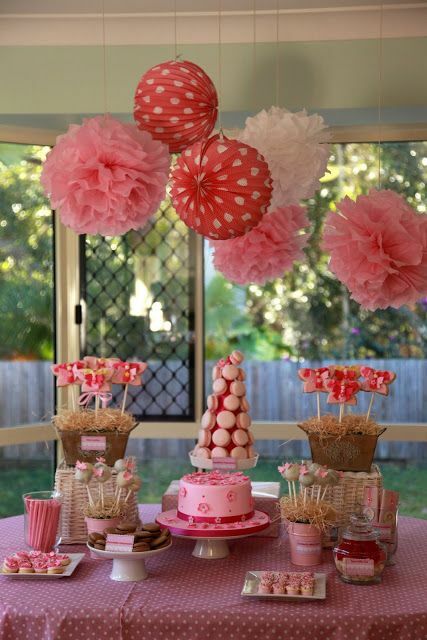 You can make or order for colorful Mad Hatter hats for each of your guests, line up cakes with floating pots, and decorate the party area with small or big colorful mushrooms, to either sit on or look at. Glow sticks and Bottles. Fill old wine and champagne bottles with glow sticks. You can additionally attach candles on the top of the bottles for a dual lighting effect that is guaranteed to impress. If both seem to be a little tough to do, you can fill the bottles with fairy lights too.